Good morning! 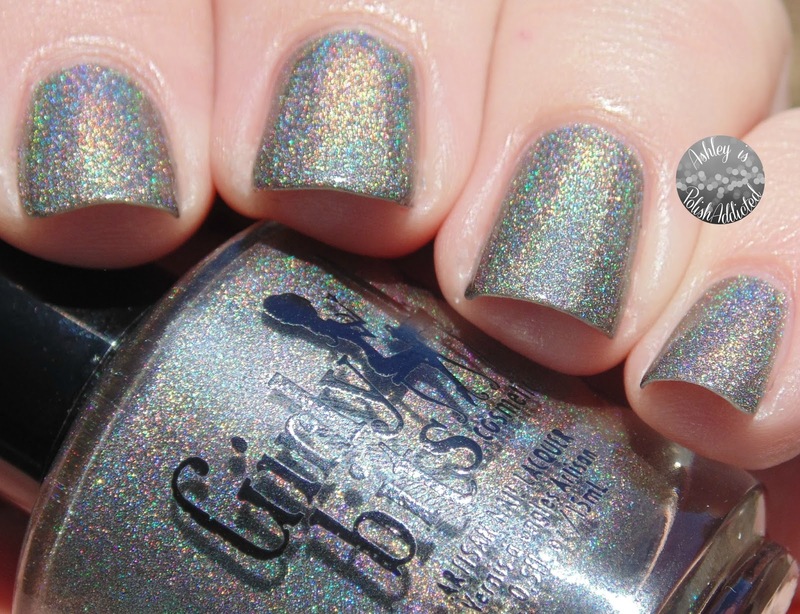 Today I have a gorgeous holo to show you from one of my favorite brands, Girly Bits. This one was part of the holiday collection last year, but it is a year-'round stunner for sure! Dash Away All is a gorgeous shade that is hard to describe. It looks taupe in some lighting and grey in others. It's a really pretty color that is a nice blend of grey and brown. My photos tend to lean to the grey side, but it isn't a straight grey. So gorgeous and so holo! The formula on this is amazing, so creamy and smooth it basically applied itself. I am showing two coats and no top coat. 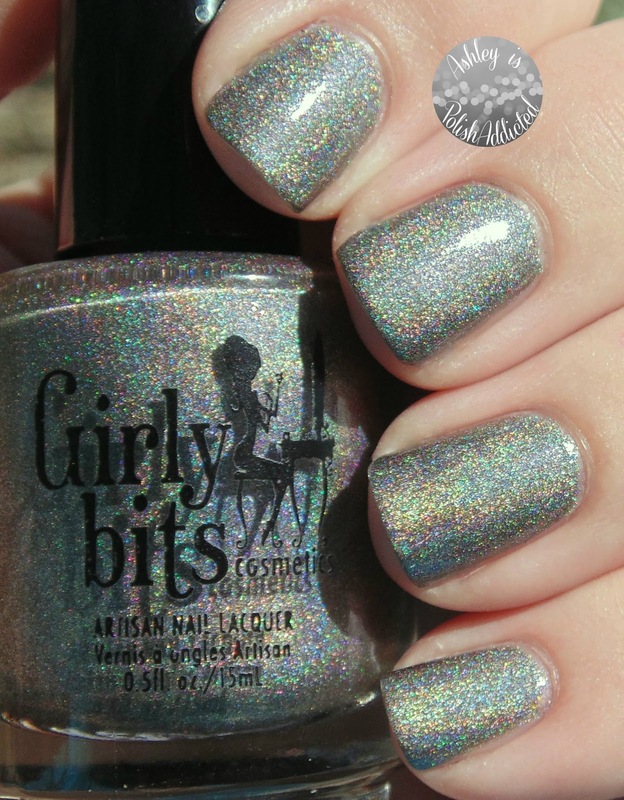 Dash Away All is currently in stock at the Girly Bits website! Make sure to follow Girly Bits at the social media links below, there is always something exciting happening with this brand!